For more than a decade, Comfort Zone has grown to become a trusted brand, recognized nationally as a leader in home environment products. Comfort Zone heaters, fans and humidifiers provide safe and reliable performance with exceptional value and thoughtful innovations. As a leader in safety and reliability, Comfort Zone products are designed and tested to meet strict global quality standards including UL, ETL, SAA, CE, CSA and NOM. The Comfort Zone CZ523RBKCN is a 23 inch oscillating ceramic tower heater that has a contemporary style that fits any dicor. The Dyna-Glo 200,000 BTU portable convection gas fired heater is are designed to provide a consistent, long term solution for space heating. Ideal for homeowner workshops or construction sites, convection heaters will operate using a standard 20 lb. liquid propane tank (tank sold separately) and do not require electricity for operation. Heats up to 4,700 square feet. Regulator and regulator assembly included with all models. 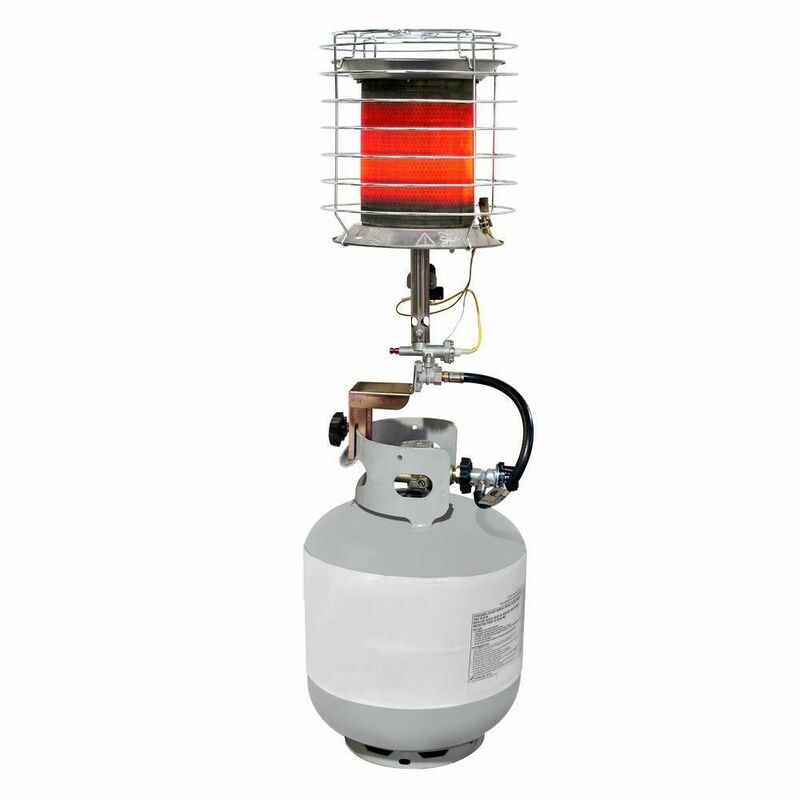 40K BTU 360 Liquid Propane Tank Top Heater is rated 4.3 out of 5 by 244. Rated 5 out of 5 by Jesse from Excellent!!! ... Excellent!!! Rated 4 out of 5 by Ron from Item worked well but was difficult to start. Had to hold the start button 3 or 4 minutes before... Item worked well but was difficult to start. Had to hold the start button 3 or 4 minutes before it would stay on. Once on it heated extremely well. Rated 5 out of 5 by toasty from couple of years going strong works great only problem the red button has a malfunction of some sort I have to keep the button down with a zip tie in order to stay on. can some one help or is it time for a new one? Rated 5 out of 5 by HomeDepotCustomer from Works great. Looks Cool. ... Works great. Looks Cool. Rated 4 out of 5 by Randy from I've not used this heater in very cold weather, I... I've not used this heater in very cold weather, I live in Southern CA. However, after lighting the heater with my hand held butane gas lighter it heated up my garage quickly. Not too impressed by the old desgin LP tank connection at the tank and the lack of Piezo lighter built into the design.